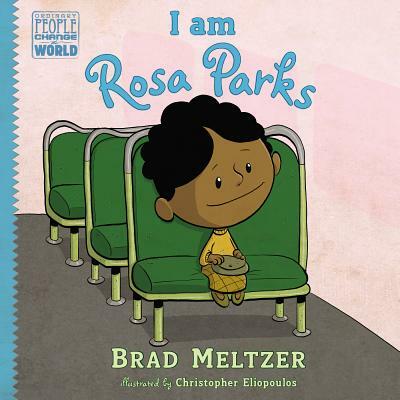 “Kids always search for heroes, so we might as well have a say in it,” Brad Meltzer realized, and so he envisioned this friendly, fun approach to biography – for his own kids, and for yours. Each book tells the story of one of America’s icons in a vivacious, conversational way that works well for the youngest nonfiction readers, those who aren’t quite ready for the Who Was biography series. Each book focuses on a particular character trait that made that role model heroic. For example, Rosa Parks dared to stand up for herself and other African Americans by staying seated, and as a result she helped end public bus segregation and launch the country’s Civil Rights Movement. Brad Meltzer is the New York Times bestselling author of The Inner Circle, The Fifth Assassin, Heroes for My Son, and Heroes for My Daughter, and he is the host of the History Channel television show Brad Meltzer's Decoded. He lives in Florida with his wife and their three children. Christopher Eliopoulos began his illustration career as a letterer for Marvel, and has worked on thousands of comics, including Franklin Richards: Son of a Genius, Pet Avengers, and Cow Boy, all of which he wrote and illustrated. He lives in New Jersey with his wfie and their identical twin sons.